Billy Ray Cyrus doesn’t want his mullet back, he wants his daughter back — he is trying to convince Miley Cyrus that Liam Hemsworth isn’t the right guy for her. He would know, seeing that he has been by her side throughout the couple’s on-again, off-again relationship. Miley’s dad is quite protective of his daughter… or shall we say ‘was’? Let’s face it, Cyrus is no longer a teenager and can now make decisions by herself. So what’s Billy actual problem? Well, he doesn’t feel like Liam is committed to the relationship with Miley Cyrus, let alone marriage. The two have been engaged since the 31st of May (yes, we’re very accurate. Ha) and according to reports, Miley has ended their engagement several times because she can’t stand seeing her boyfriend flirt with other women. It just so happens that each time he gets caught, he pleads her for forgiveness and she gives in. The icing on the cake came when Hemsworth was spotted out and about with January Jones at an Oscars after party. At the time everyone was wondering why Liam was spending time with January, rather than hanging out with the “love of your life,” Miley. Sounds fishy and Billy sees right through it. He knows that Hemsworth is not serious about his relationship to Miley and may only be using her for fame and money. 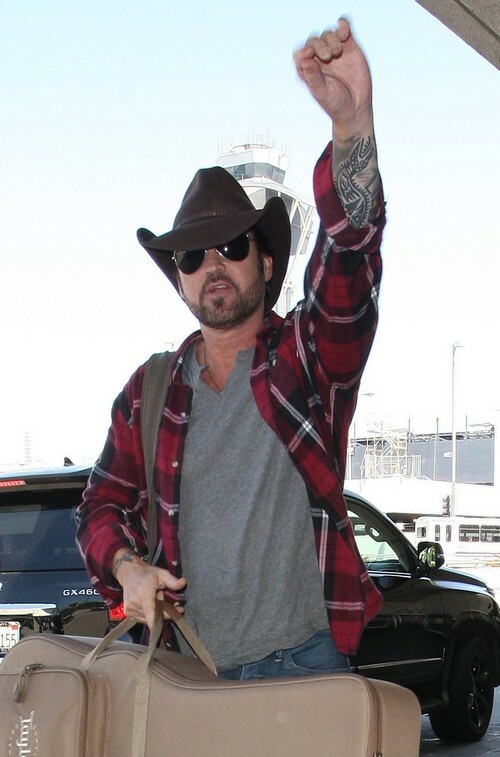 The source then continues: “Billy Ray thinks Liam hitched his wagon to Miley and used her fame to turn himself into an A-list actor. He feels so strongly about it that he told Miley he’ll boycott the wedding if she goes forward with it.” As of now, Miley and Liam have given their romance another shot, trying to see whether this time they can actually stay together, because if their constant shenanigans continue, their marriage is going to be pretty crazy. Image credit: FameFlynet, Inc – Beverly Hills, CA, U.S.A.
Lindsay Lohan’s Pregnancy Tweet a Joke or a Desperate Attempt at Attention?